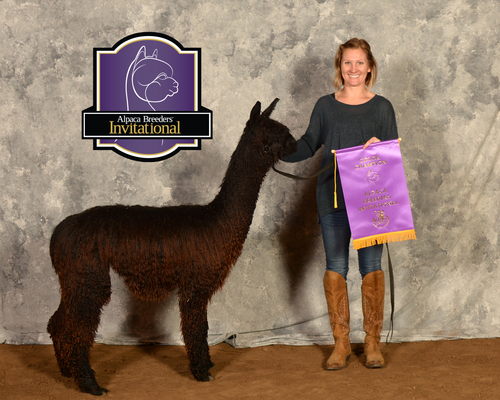 Shavano is our true black, full Peruvian, half Accoyo male who was named the 2010 AAA Futurity Dark Herdsire of the Year. His lock and density are extreme for a black suri. His mother, GLL Macatawa is a medium fawn daugher of 4 P Macusani, one of our foundation females who had 8 female crias for us in a row. Shavano's sire is 4 P Miguel a white, full accoyo male. As a juvenile, Shavano was Black Male Color Champion at the AAA Futurity in 2006 and Reserve at MAPACA. As a yearling he was first in his class at both the AAA Futurity and AOBA that year, after being shorn the previous spring. His first crop of crias were shown in 2009. We only showed two crias that year, GLR Arappaho, now owned by Linda Kondris of Pine's Edge Suri Alpacas in Colorado, who won both the MAPACA and AOBA Black Male Color Championship, and GLR Tica, who was the Reserve Brown Female Champion at both the AAA Futurity and MAPACA. So far this spring GLR Tica has gone on to win the Reserve Brown Female Championship at the 2010 AAA Futurity as a yearling and the Brown Female Color Championship and Judges Choice at GWAS in Denver. Shavano also won Get of Sire in Denver, with three colored suris. Shavano won the Dark Herdsire of the year at the AAA Futurity with 4 Reserve Color Championships in both Black and Brown, in both the male and female catagories. GLR Tica went on to win the 2010 AOBA Nationals Brown Female Color Championship and GLR Ali was awarded the 2010 ABOA Reserve Black Female Color Championship. Shavano offspring were responsible for Great Lakes Ranch being named the 2010 and the 2011 AAA Futurity Medium Size Breeder of the Year and the 2012 AAA Futurity Reserve Breeder of the Year. GLR Rastamon is the densest (Follicle Density 68, micron 20.9) blackest, true black that Brad and Jandy have ever produced on the ranch. His sire is Shavano, is a true black 1/2 Accoyo Black Color Champion. 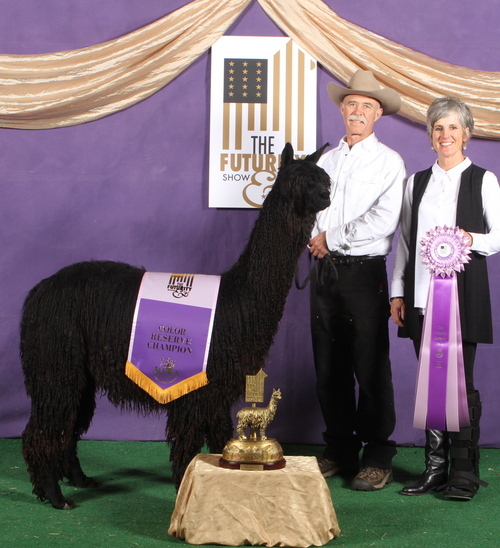 His mother, LCA Jaimica, is a 5Peruvian Silken daughter, one of Snowmass Alpacas very favorite dams, and one of the reasons that they bought Jaimica from Jack and Kelly Armstrong a few years back. This guy is jet black with no tipping, what so ever, and very impressive in conformation and in bone. 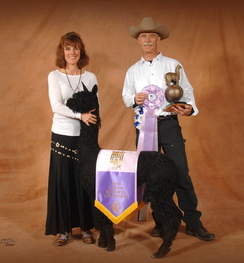 He stands upright and proud, even as a juvenile and was awarded the Reserve Black Male Color Championship at his first show, at seven months old, at the 2010 AAA Futurity. His first crop of kids produced plenty of Color and Reserve Color Champions and the second crop followed suit. In theory, based on his fiber stats and pedigree, we hoped that he would step up the quality of his offspring to another level from his dad, AAA Futurity 2010 Herd Sire of the Year, Shavano. So far we are more than impressed with his kids and have him bred to more than half of our foundation females for cria in 2014! His offspring in 2015 earned him the title of AAA Futurity Reserve Dark Herd Sire of the Year. GLR Rastamon is closed to outside breedings, however, for the right farm we may consider 1/2 interest. Lot 43 - Snow Diamond Select Auction!